I re-posting an email from Hendrik and Marianne of the Pilou Animal Shelter. This may seem off-hand a bit of a weird request, but we are looking for small dead rodents and birds. We have rescued a baby owl and for his nutrition it is important that s/her eats fur, skin, feathers and small bones next to meat. Since we do not want to kill any animals, so we would like to ask anybody who may find a dead small animal to give us a call so we can pick it up. Of course we need to be careful, especially concerning the rodents, that they are not killed by poisons or pesticides, since that would also pose risks to the owl. So if you know this is the case, please do tell us! Your help is really appreciated, since without this kind of food the owl will have very little chances of survival. That one dead mouse you find may just make the difference! 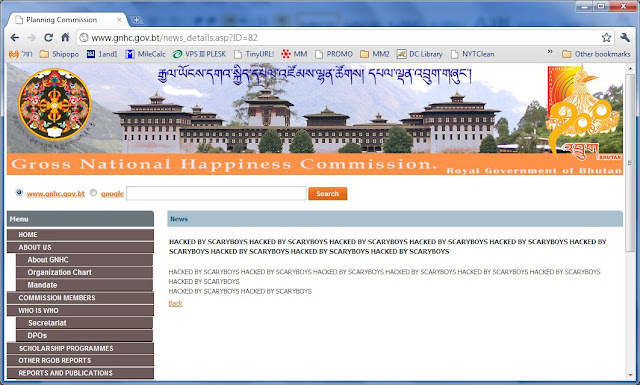 Yet another cyber-security victim: This time it's the Gross National Happiness (GNH) Commission. GNHC's website was hacked by "SCARYBOYS", who was actually careful to leave a lot of traces. The hacker probably just wanted attention, which made it easy for me to find the breach. But what about the hackers who are trying to create damage and are careful not to leave these kinds of traces? "[Boaz] Shmueli said that with more local financial institutions offering internet banking, people should be careful about "phishing". Phishing is when an email falsely claims to be from a legitimate organisation and attempts to acquire personal information, usually accompanied with a threat that the account will be closed unless such information is sent back." Quick notification of phishing scams is therefore of paramount importance. 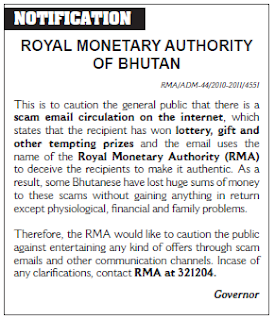 While posting notifications in the paper-version of newspapers is important, an equally if not more effective way of spreading this information quickly is including it on the newspaper websites, on the Royal Monetary Authority's homepage, and even on social media sites such as Facebook or Twitter. Bloggers quickly pick up on such online notifications and spread the word. Planning to point our readers to the original notification on the RMA website, I discovered that it was very awkward and user-unfriendly to find the notification, not to mention the format in which it is displayed (or rather, hidden). Browse to the RMA homepage and you will find nothing. Here's the secret path: From the abundance of links, find and click on Notifications and then again on Notifications in the sub-menu. You will then see a page as in the image below. Now scroll all the way down (why are the most recent notifications at the bottom?). Then click on the PDF icon (the text itself is unclickable) to reach a PDF file with the notification . Unfortunately, the notification "design" is much less appealing than the Kuensel notice. Organizations should use their homepage in an effective way. This is their prime virtual real-estate and their window to the public. 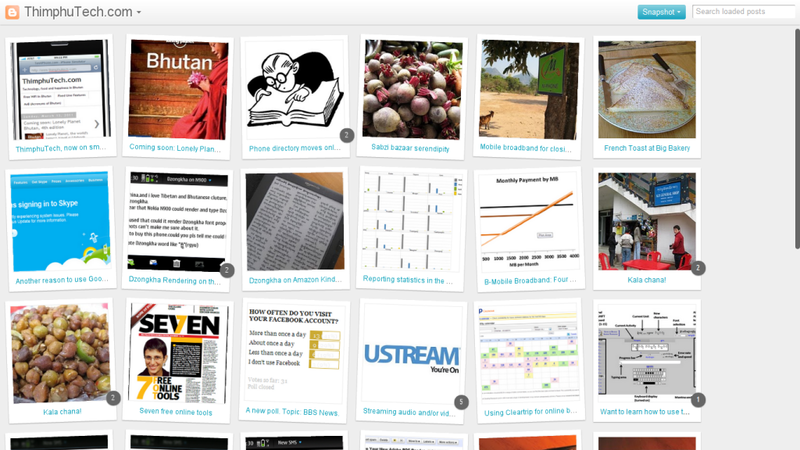 The main page should include announcements or notifications that are visible, updated regularly and easy to view. Need to sell your auntie's rice cooker, a used Alto or your "old" iPhone 4? Check out B-Bay, an open Facebook group for "Buying and selling second hand stuffs in Bhutan". Created about two months ago by Passang "Passu" Tshering, the group already boasts more than 850 members. Using Facebook for classified ads has an interesting advantage. While scams are common on websites such as E-Bay and Craigslist (which are very popular in other countries), it is much harder to cheat on B-Bay: You often know the real person behind the Facebook user, especially in a relatively small and tight-knit society such as Bhutan. "When I grow up, I want to look Indian!" If you want to help your "dark-skinned" child to develop a slight inferiority complex, I have a simple recipe: Take her to any Gini and Jony shop. This high-end Indian retailer of children's clothing has hundreds of outlets all over the subcontinent, and a branch was opened recently in Thimphu. Naturally, I went to see what the buzz is all about. The Kuensel recently reported that according to Bhutan Telecom officials, "internet services would be much faster" following the launch of a new DNS server. Unfortunately, this is not accurate. While we might notice an improvement in the response time - i.e., the time it takes until the download or upload starts - the download and upload speeds are not expected to improve dramatically. Is Bhutan becoming less "interesting"? One of Google's most fascinating tools is Insights for Search, which lets you compare search patterns across time and geography (a more basic version is Google Trends). I've decided to see whether more people are searching for "Bhutan" lately, which might indicate a rising interest in the country. Looking at the results, searches shot up during historical events - around the mock elections, the actual elections, and of course the coronation of His Majesty. But otherwise, the trend line demonstrates a slow but constant decline of searches beginning in January 2004 (when Google first started to collect this data) and reaching the bottom in December 2009, when activity slowly started to pick up again. Now whether interest in Bhutan is desirable or not is a whole different question. I rushed down to the post office and a package was indeed waiting for me. I found out that the IT department at Bhutan Post recently installed a system that sends out these messages to the recipients of parcels. 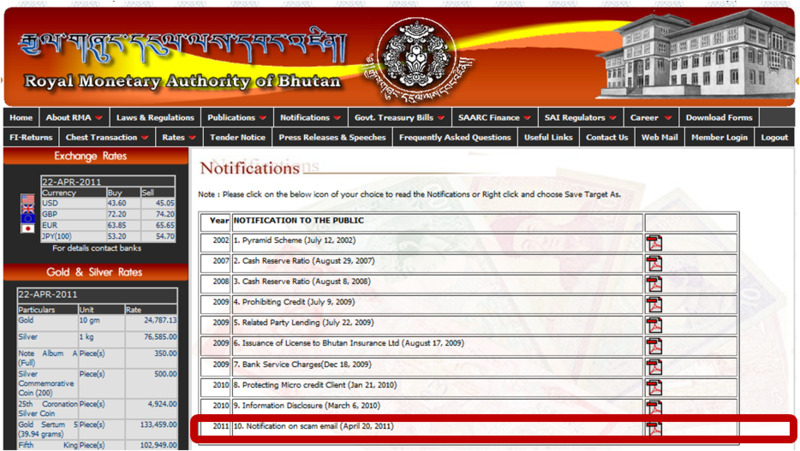 A fine use of SMS technology, and another example of Bhutan Post's all-around fantastic service. No, this post is not complaining about the stray dogs or sleepless barking nights in Thimphu. It is also not about high-tech ear plugs. Instead, I'd like to share information about a high-value service that might not be easy to find. A few months ago a couple of dogs have adopted us. Over time the relationship became mutual (they bark in both Hebrew and Dzongkha), and so we thought that it would be a good idea to vaccinate them. Back in the West, we'd look up "vet" with our zipcode on the Internet, check customer reviews (and people can get very sensitive when it comes to their pets! 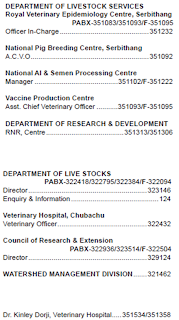 ), call a vet, make an appointment, bring the dogs over to the clinic, get them vaccinated and shell out a big amount of cash. 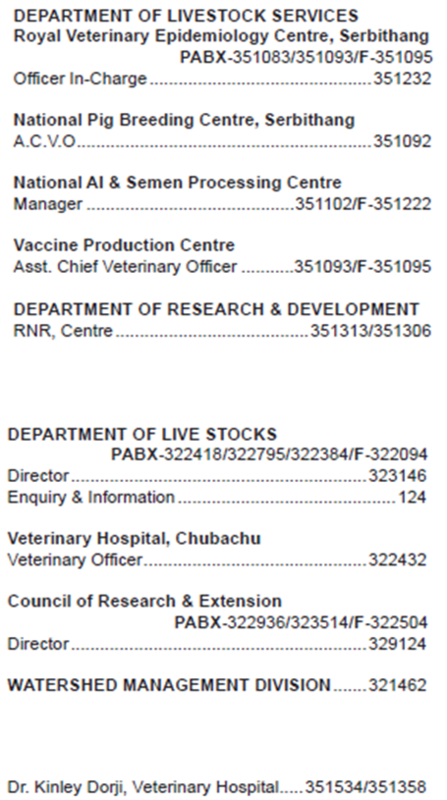 Vaccinating dogs and cats in Thimphu is done by the Chubachu Veterinary hospital (02-322432). Their immunization service beats my Western experiences hands down: Being car-free, we couldn't bring the dogs to the hospital. Instead, the wonderful Dr. Kinley arrived after 30 minutes with a team of two helpers. They vaccinated our dogs (free! ), gave de-worming tablets (free! 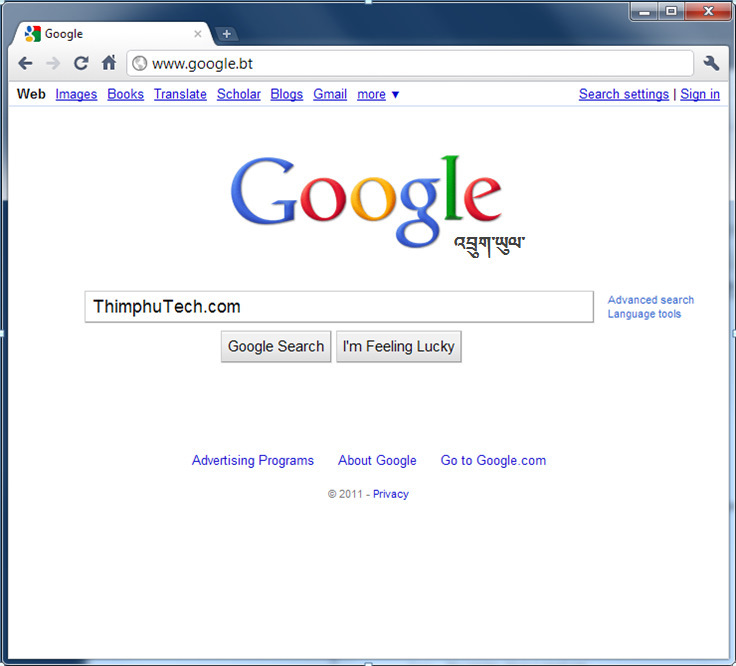 ), and registered them (Nu. 120 per dog). The dogs were a bit surprised, but it's for their own good. No wonder that Thimphu hasn't had a rabies outbreak since 1992. I've recently encountered more incidents of hacked email accounts in Bhutan. This time it was a Chinese spammer sending thousands of "you've won the lottery" fraudulent emails to unsuspecting recipients. Other hackers abuse email accounts by sending out emails of the infamous "Mugged in Pataya" type to the victim's contact list. And one can think of even more sophisticated ways of taking advantage of hacked accounts, especially if the hacker takes the time to delve into the victim's messages. There's recently been an explosion of Bhutan-focused travelogues and memoirs. Or at least so it seems. Three of the newer works are currently not available for sale in Bhutan: Radio Shangri-La by Lisa Napoli, Married to Bhutan by Linda Leaming, and Beneath Blossom Rain by Kevin Grange. So what do you do if you're here in the Kingdom and desperate to get a copy? The public library would be a natural place to find such books, but as far as I know, copies are still not available for loan. Eventually a few will end up there. Another option is to find a local friend who has a copy. If that didn't work, keep on reading. One of Bhutan's leading newspapers has recently made an embarrassing - if common - mistake. If your hard disk just crashed, you are probably having one of those blissful, blood-pressure-lowering, mantra-inducing Buddhist moments, realizing that indeed nothing is permanent. Check out dynamic ways to view the blog at ThimphuTech.com/view. Enjoy! 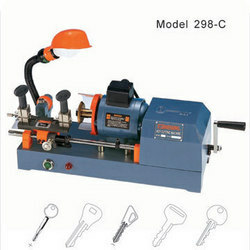 The topic of youth unemployment has been discussed constantly in every possible medium. Starting a small business can be rewarding and interesting, but it is never easy. Should one open yet-another-shoe-shop? A few individuals with entrepreneurial spirit have recently launched great businesses, such as ShoeVival and Greener Way.